Product prices and availability are accurate as of 2019-04-03 03:25:28 EDT and are subject to change. Any price and availability information displayed on http://www.amazon.com/ at the time of purchase will apply to the purchase of this product. 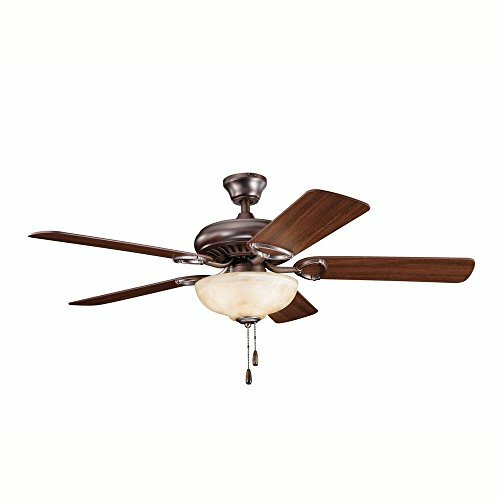 This delicate 52" Sutter Place Select ceiling fan features soft lines and clean detailing in Matte White that will beautifully enhance your home. Canopy Included: TRUE / Shade Included: TRUE / Canopy Diameter: 5.25 / Rod Length(s): 1 x 4 / Warranty: Limited Lifetime.